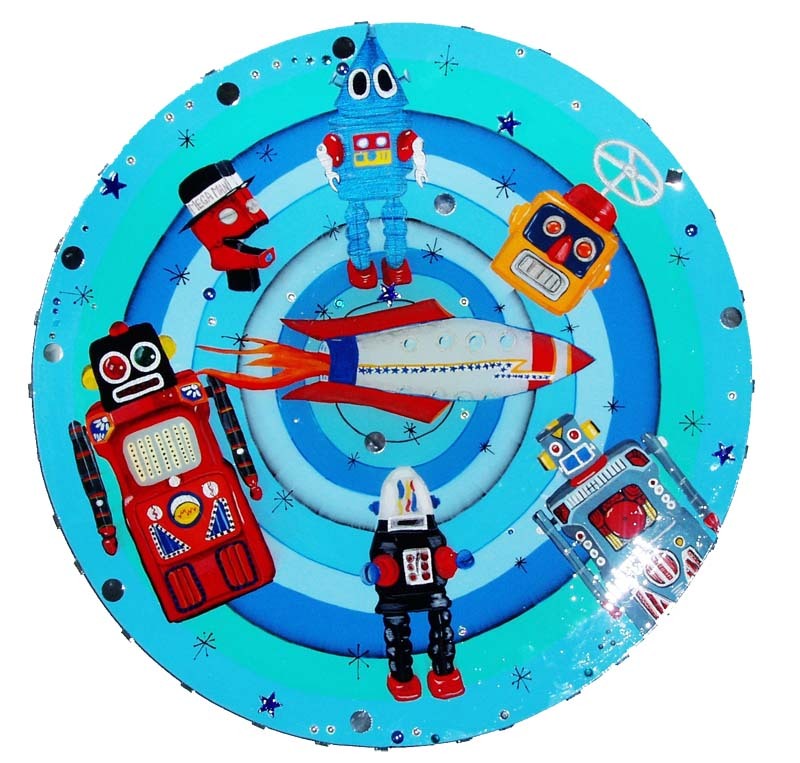 Three wonderful robot creations by Lynnda Rakos will be on display at Carter Sexton as part of a group show. 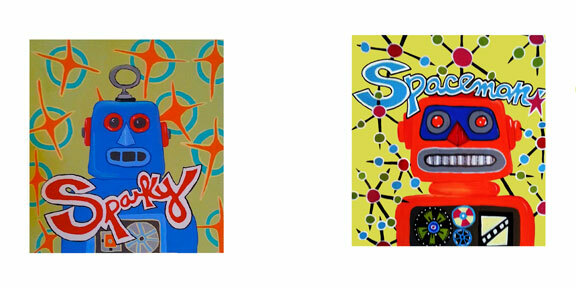 On the night of the reception only, limited edition prints of Sparky and Spaceman will be on sale. You can purchase the originals any time during the month.